Large Vertical Slot Pocket To Stash Receipts, Etc. Take field notes about this, that, or that other thing? In the rough, it’s hard to protect those notes without a strong, sturdy cover. Enter our Genuine Leather Field Notes Cover., but it’s so much more than just a journal cover. You can store your pen in it or a couple of credit cards. You can even attach charms or lanyards to the D-ring. It’s very useful. Even receipts won’t be lost It’s just the thing for taking notes on the job or just for taking a leisurely walk in the park. Writers LOVE to have something cool to record impressions and ideas into. And guess what? We’ll even etch your initials into it. It’s just that cool. My name is Jason Crespo, and I am the founder and CEO of The Paperstax Project. We are a non-profit dedicated to teaching young people self-actualization by building the habits of journaling, crafting and sharing. We donate notebooks and curriculum to youth programs throughout Miami, Florida. As such, I have had opportunities to own and donate many different types of notebook covers–specifically in the 3.5″ x 5.5″ format, since that is what we make, sell and donate. Just recently Mr. Porter of Vvego International donated to us one of their notebook covers with our logo branded into the front cover. We were able to give that notebook cover and a nice pen to a young lady who has gone above and beyond her classmates and produced fantastic work. The Vvego International leather notebook cover is the most finely-crafted notebook cover I’ve had the opportunity to handle. The care with which it was made shone through in the beautiful straight stitching, well-thought out design, and artful convergence of many different pieces of leather. First, the notebook cover is rugged. There’s no doubt it will last years of constant use. 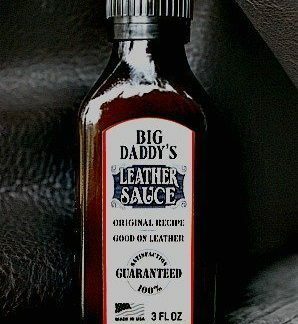 Indeed, with the beautifully-dyed, quality leather I’m quite certain that the older and more used it gets, the better it will look. Second, the design is meticulous. In speaking with Robert I found that Vvego International prototyped many different models before finally settling on this design. They were intent on making the best product they could, and this shows in the placement of their integrated pen sheath and card slots. There is even a place to slide in dollar bills, so that one could conceivably use this cover as their wallet as well as their journal. Third, something MUST be said about Vvego International’s stellar communication and customer service. From our initial discussion where Robert offered to donate the cover for a contest prize, to my sending him vectored logo files, Robert was in constant communication–to the point that we discussed exactly how the Paperstax Project logo should be placed. He even sent me photos to ensure everything was as it should be. Finally, I had the notebook cover in hand within four (4) days of our initial conversation, and was able to gift it the following day. In my opinion, Vvego International is doing business right. They make fantastic products, their customer service is stellar, and they have a genuine interest in creating a positive impact in their community. On top of that, everything they make is designed and manufactured right here in the United States. They are the type of business we should all build up. Huge thanks to Robert Porter and Vvego International for allowing us to gift one of their fine leather notebook covers to a young lady who is working to find her voice. And a big kudos as well for making fantastic products and standing by them. Oh, Robert, you have outdone yourself yet again. I am 43 years old, an attorney, father of three, and usually a very calm fellow. However, none of this mattered yesterday when I opened up my mailbox and saw a package from Vvego with my name on it. I don’t know if you’ve ever seen a 43 year old man squeal like a toddler and dance his way across the yard and back into his house, but I assure you, it’s not a pretty sight. I opened up the package, and there it was, my Field Notes cover. A thing of beauty to behold. First off, it truly is beautiful. The art of making something both practical and beautiful is almost lost in this disposable world. Not so with this piece. Three different shades of leather, all supple yet firm, card slots, a pen holder, and a pocket to hold your Field Notes, or, if you’re more frugal, your Moleskine notebooks. Let me just point out what I believe is the highlight of this amazing piece of equipment: The pen holder. Rather than just sewing a piece of leather in a half circle on the inside of the case, Robert’s design has one end of the leather sewn, but the other side free floating but trapped. The result is a place to hold your pen that can accommodate any size pen, large or small, or lay flat if no pen is being carried. It’s a small detail, but it makes all the difference in the world. There is also an attached ring to use as a key holder, though I think that in this age of proto-hiptsters and biker wannabes, a chain could easily be attached to the ring and voila! A wallet on a chain. As always, you have the option to have a custom engraving on the front. I chose to forgo this option, not because of any lack of choices, but because I’m too indecisive and Robert can put any design or quote on his goods. The size is perfect, the construction is above top notch. Unless this had come with a winning Powerball ticket I could not have been any happier. Thank you again, Robert, for all that you do, and the incredible quality of work that you put out. Guy, you gotta get yourself one of these!!! The Field Notes Cover Robert and Team Vvego put out are AWESOME!!! Polished heavy leather, all edges smith and aligned, Flawless stitching! The fact that they will laser etch it for you is a bonus(I did not get). Robert and his team are super AWESOME people to deal with. They have their collective hands on the pulse of the E D C Community, and are constantly pushing the envelope to meet our needs. Take a look at the site, I’m sure you will see something you “Gotta Have”. If you don’t see anything, talk to the team it my be something they might want to work on. If you are looking for a Field Notes wallet/holder you can look no further. This wallet, from Robert Porter and his team, is an amazing product that trumps all other products on the market. It is the perfect size to carry in your back pocket or front pocket and it looks INCREDIBLE! The quality of the leather is second to none and the same goes for the perfect stitching. I’ll be honest… I feel like a boss when I pull out this gorgeous piece of work. I am very appreciative of Robert and his team at Vvego International!! Thank you all so much for this wallet. The notebook cover is made from good quality leather and very well stitched. It’s practical; notebooks and pen fit perfectly. I like that it fits in my jean pockets which makes it very easy to carry it with me everywhere. Nice design, colors and details. Single handedly the greatest wallet I’ve ever owned. 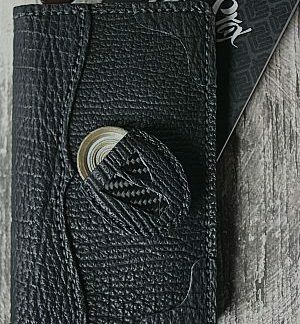 The craftsmanship and durability of the wallet is beyond superb. The logo I wanted on the front of the wallet was even a little bit of a stretch of possibility but the guys at Vvego didn’t let up and managed to get it engraved on the front. I really didn’t think they would be able to but they did and it looks better than I imagined it ever could have. The shipping was also quick. I placed my order and within a fraction of the time I was expecting I had a message that included a picture of my finished wallet. I was expecting the team to take at least a few weeks but it was done before I knew it! As always Robert and his team provided the best customer service I’ve experienced. This guy and his team go far and beyond to make things possible. Stand up class act people who would literally give you the shirts off their backs if you needed it. I will be doing more business with them no matter what. Great people who make and produce amazing work. My partner’s 60th birthday was coming up and I wanted to get him something special. We travel a lot… but I’m always forgetting when we went to certain places. When I saw the Field Notes Cover on the Vvego website I knew it would be the perfect gift. It’s a beautifully crafted piece with different colors of leather, a pen holder and slots for holding cards… just the right size to carry in your pocket. The “miles to go…” etching was perfect for a trip log. Thank you, Robert. This was a great find and something we will cherish for years to come! I love my cover so far and its only been a week! It’s everything you want in a Great Field notes cover. Its all shiny new now but if you had to you could really abuse this cover, great materials thick and strong. Robert put my initials on there in a very classy way. About the person to person service, above and beyond! Robert and his staff are awesome. Very rare to get someone calls so much and really is concerned that you are getting and get what you want Robert is the best at it. I wish I could say more good, he did a front pocket chain wallet for me with the same great service, thank you Robert and Vvego for great products great people!!!!!! In May 2014 I picked up a shark skin Vvault front pocket wallet and was blown away with craftsmanship and attention to detail. I have carried it everyday since then and it still looks brand new. Last May Robert sent me a boot blade nestled in a custom shark skin sheath that was over the top…feeding my shark obsession. This afternoon I arrived home to a gorgeous shark skin field note wallet that Team Vvego hit out of the park. I was speechless to say the least. It just doesn’t get any better than this. From Robert’s incredible customer service and his need to make sure that your entire order is exactly how you want it to the amazing products that show up in your mailbox. These guys are amazing! This is my third piece from them and they always exceed expectations. The attention to detail and the craftsmanship is remarkable. I just received Field Notes Cover, and to say I am thrilled is the understatement of the year. The quality and workmanship is top-notch. The description and photos don't come closer the quality that is evident when you hold it in your hands. I look forward to years of use. Further, the work ethic and attention to customer service, put forth by Robert and his team, have earned them yet another thrilled (and repeat) customer. While this was my first purchase, it will definitely not be my last. You won't be disappointed! Five Stars!